Go for glamour with sheer statement specs in the city this summer. Salute one of the hottest womenswear trends of 2015 with a pair of playful, transparent summer specs or sunglasses. Choose from designer brands including Tommy Hilfiger and Converse in over 100 Specsavers stores across the capital. Find the frames to suit your style and your bank balance at Specsavers. 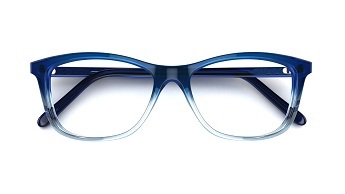 Opt for ombre with these blue Drew frames. At just £69, you can look stylish this summer on a budget. 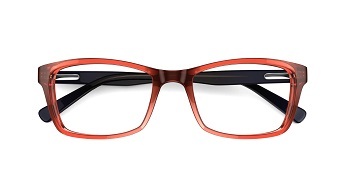 Or make a fiery statement in these fierce SOLE specs at £85. 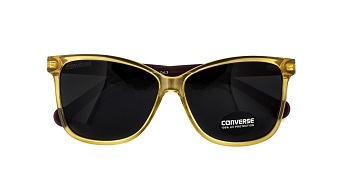 And for the bright light of the city sun, try these golden RX 01 frames from the new Converse collection at Specsavers, at just £99. Matt Billing, Specsavers’ assistant frame buyer, said: ‘Work the sheer trend into your look with a great pair of specs or sunglasses. Pair them with a floaty silk dress and a transparent vinyl clutch and exude summer chic.